But Moscow, Beijing and Tehran knew that Jihadists must be stopped in the Levant before they had the chance to move to their own countries. Syria is not going to be another Libya and Russia and China agreed, along with Iran, to stop once and for all the US unilateral dominance at the gates of the Levant. With the recent visit of the North Korean leader Kim Yong-un in Beijing, China has challenged the dominating U.S. role in the discussions over North Korea. There will be no uni-polar U.S. solution in the conflict - neither by talks nor by war. A conflict over Korea could soon supersede the conflict in Syria in size and potential consequences. 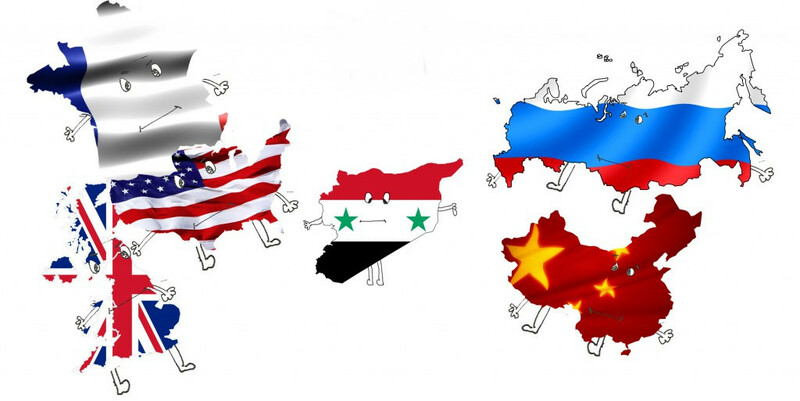 In the global context the war on Syria is just a starting point. It will likely be in Korea, and maybe in Taiwan, where the real battle between unilateral and multilateral order will be fought. This Associated Press story has quite a slant. DUBAI, United Arab Emirates (AP) — Roadside bombs disguised as rocks in Yemen bear similarities to others used by Hezbollah in southern Lebanon and by insurgents in Iraq and Bahrain, suggesting at the least an Iranian influence in their manufacture, a watchdog group said on Monday. Conflict Armament Research is not an "independent watchdog group" but a dully established British for-profit company registered at the British government's Companies House under company number 07762809. The sole owner is James Bevan, a British national born in 1977. In 2002 James Bevan started to work for the well regarded Swiss NGO Small Arms Survey. He then worked for the UN and in other publicly financed arms research projects. His own company started to grow around 2015, right when the war on Yemen started. It runs some arms research under public grants but is also a for-profit consultancy. In the business year ending March 31 2017 the company had a turnover of £1.4 million from grant funded projects and £710,000 from consultancy projects. Seven people were working for the company including the owner, James Bevan. That year Bevan, besides his unknown salary as director, took out £177,593 in dividends. The CAR researcher Tim Michetti, quoted by AP, is also a co-author of the "Pushback - Exposing and countering Iran" report by the Atlantic Council. The United Arab Emirates is at the top of the Atlantic Council's Honor Roll of Contributors with more than $1,000,000 in yearly donations. The UAE is at war in Yemen and is regularly accusing Iran of supporting the Houthi resistance against the invaders. Yemen is under blockade and there is little evidence that any Iranian help reaches the Houthis. This report presents comparative findings on explosively formed projectiles (EFPs) documented by Conflict Armament Research (CAR) in Yemen and similar devices documented by CAR field investigation teams elsewhere in the Middle East. 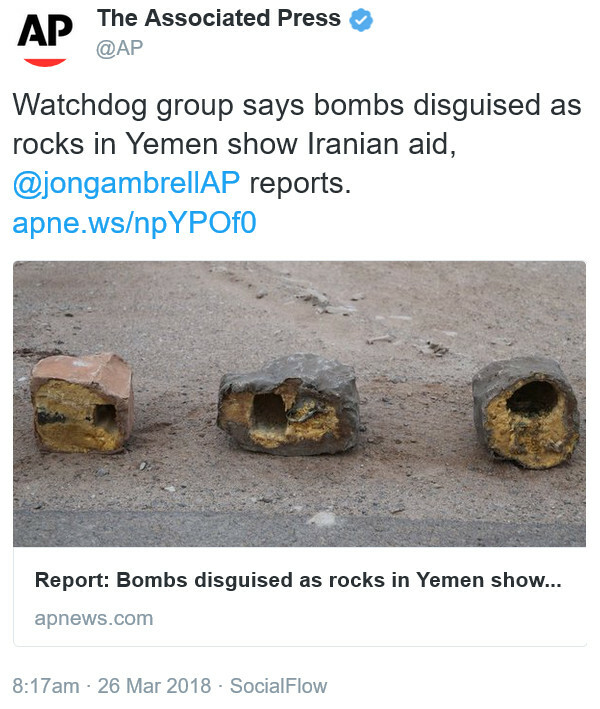 The IEDs recovered in Yemen feature EFPs, which have been camouflaged to resemble natural rocks. These devices are armed by radio control (RC) and initiated using passive infrared (PIR) switches. They can be classed as radio-controlled IEDs (RCIEDs). The easiest way to learn how to build improvised explosive devices with EFPs and various arming and triggering devices is to read declassified CIA manuals. 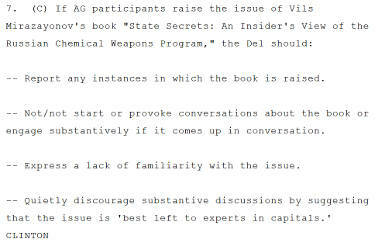 I recommend to start with "Explosives For Sabotage" available at archive.org. A diplomatic row was sparked six years ago after Russian state television broadcast a film claiming British agents had hidden a sophisticated transmitter inside a fake rock left on a Moscow street. The CAR report shows some similarities between the trigger of an IEDs found in Yemen and another one allegedly found in Bahrain. But how does that lead back to Iran? Why not reasonably assume that various groups simply work from the same set of ideas and use the same manuals? The electronics kits used in the RCIEDs feature heatshrink wire coverings, which are manufactured by the Chinese company WOER. WOER-brand heatshrink wire covering is a constant feature of Iranian origin materiel recovered in Yemen and Bahrain, including RCIEDs, unmanned aerial vehicles (UAVs), and dual-use equipment suspected to be used in the production of rocket propellant. Some WOER products are available on Amazon. This brand is well known and so widely available in the Middle East that it is outright laughable to attribute WOER material to Iran. The report lists some similarities between IEDs found in Lebanon, Iraq, Bahrain, Yemen and elsewhere. But the IED types it describes have also differences. Hizbullah is the only group using aiming devices in its IEDs. At a first glance the trigger electronics from Bahrain, pictured in the report, look similar to those in Yemen but they use slightly different components and wiring. By empathizing the similarities CAR makes it look as if the bombs come from the same source. It is more plausible that they were locally build from widely available materials by following the same manual or instruction set. A search in Arabic language forums will probably turn up an equivalent of the old CIA manual with blueprints for the such bombs and their trigger electronics. An earlier report by CAR about Maritime Interdiction of Weapon Supplies to Somalia and Yemen (pdf) was likewise slanted. It insinuated that Iran was smuggling arms to Yemen but did not analyze alternative explanations. It provided that some private dhows were smuggling small arms from maybe(!) Iran to Somalia. There is some murky evidence to support that conclusion. But the report then went on to claim that those weapons were transported further and shipped from Somalia to Yemen. No evidence was provided for that claim. There are several ongoing wars in Somalia. Many parties there will purchase any weapon they can get. The Houthi in Yemen though have all the small arms they need. They simply capture or buy from the large stashes the Saudis and the UAE provide to their own local proxy forces. But aside from all those details is it really newsworthy that a UAE lobbyist harps about some IEDs and AK machine guns used by the Yemeni people when Saudi Arabia and the UAE invade the country with heavily armed forces and for three long years bomb the s*** out of its starving people? The [Yemeni Data Project]’s data shows the Saudi-led coalition carried out an average of 15 air raids* per day. A total of 16,749 air raids were recorded from 26 March 2015 to 25 March 2018. Nearly one third of all air raids (31%) targeted non-military sites. Fuel deliveries amounted to only 24 percent of Yemen's needs in February, while food met 51 percent, causing sharp price rises of both. "We can't say the blockade is in place. The de facto blockade is still in place." and people are starving because ships with aid can not be unloaded. I for one would not mind if Iran would provide the Yeminis with everything they need to shoot down the attacking Saudi bombers and to kick the invaders out of their country. Unfortunately Yemen is under a tight blockade and Iran seems unable to break it. To then point the fingers to Iran with little evidence and slanted reports, as the UAE paid CAR and other lobby shops do, has only one purpose: to widen the war and to prepare the peoples' minds for illegal aggression against yet another nation. The Pentagon would spend an additional $1 billion on two of Lockheed’s missile defense systems, bringing total appropriations for the Missile Defense Agency to $11.5 billion. Two incidents last night provide again that missile defense is a waste of money. It hardly ever works. Strategic missile defense, which the U.S. builds to take down intercontinental missiles, will not protect against the new weapons Russia and others are now pursuing. The U.S. military acknowledges this. After Putin announced the new weapon systems the Trump administration raised the white flag and suddenly asked for new arms control talks. Last night the Yemeni army launched (vid) seven ballistic missiles against Saudi Arabia. Three of those targeted the capital Riyadh, four were aimed at military and infrastructure targets. 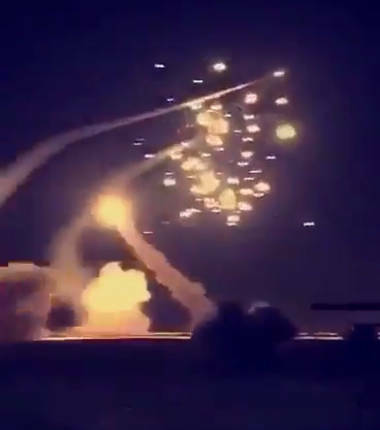 In Riyadh the Saudi forces fired a a number of Patriot surface-to-air missiles and claimed that those successfully intercepted the Yemeni missiles. The Saudis Patriot Advanced Capabilities-2 system (PAC-2) are made by the U.S. company Raytheon which also hires former U.S. soldiers as 'Patriot Battery Systems Technician Field Engineers' to man and maintain the Saudi systems. Earlier Saudi claims of successful intercepts turned out to be false. The small warheads of the Yemeni missiles separate from the larger missile body and are difficult to detect. The U.S. provided systems inevitably aims at the bigger empty missile body. This time various videos from Riyadh show that at least seven interceptors were fired against the three incoming missiles. At least two of the interceptors failed catastrophically. The other five seem to have self-destruct at height. There is no sign of any real interception. One of the Patriot interceptors prematurely exploded during its boost phase. Its burning debris showered the ground with hot parts. Even #Saudi Patriot missiles know who the real enemy is: They boomerang back to earth and bomb Saudi Arabia. How a real Patriot should function, killing the guys who did 9/11 instead of serving them. The other defense missiles seem to have self-destruct presumably after they lost contact with the target. Each of these Patriot MIM-104C missiles cost some $2-3 million. The Saudis say that one man was killed and two were wounded in the Yemeni attack. It is more likely that these people were victims of the missile defense fire than of the attacking missiles. 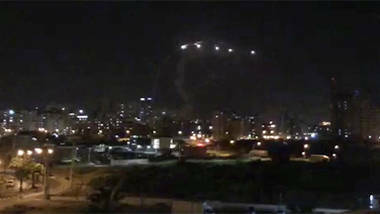 Israel's Iron Dome anti-missile shield intercepted a number of rockets fired from the Gaza Strip on Sunday, Israeli media reported, after warning sirens sounded around the Hamas-controlled Palestinian territory. Each Iron Dome missile costs at least $50,000. The IDF just spent $1,000,000 of U.S. taxpayer money because some 'oversensitive' system mistook random gun fire not aimed at Israel for incoming missiles. The U.S. strategic missile defense is against incoming long range missiles. The Patriot systems in Saudi Arabia are supposed to defend against medium range ballistic missiles. The Israeli Iron Dome systems should defend against short range missile attacks. All three systems are obviously incapable of fulfilling their task. All three demonstrate that missile defense is prohibitively costly. The cost of each missile defense interceptor is a multitude of the costs of the attacking missile. The number of interceptors is limited and the systems can be exhausted and overwhelmed by swarm attacks of cheap dummies followed by a real attack. The package that cleared Friday would include 44 THAAD launchers, 360 interceptors, 16 THAAD Fire Control and Communications Mobile Tactical Station Groups and seven AN/TPY-2 THAAD radars, along with associated support equipment and training. This new system is supposed to defend Saudi Arabia against Iranian ballistic missiles. But according to a South-Korean analysis the THAAD missile defense system has the same problem the Patriot system has. It can easily be deceived by cheap decoys and it tends to hit the incoming missile body while missing the separate warhead which simply continues its attack on the target. 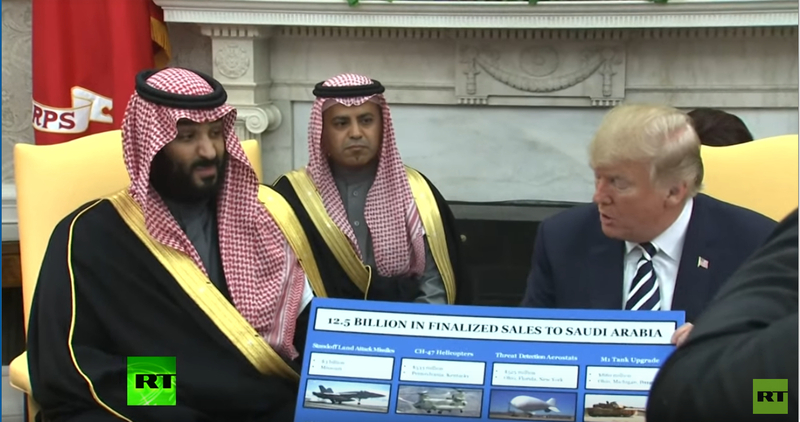 When the Saudi clown prince visited Washington last week The U.S. president made an embarrassing show (vid) out of such sales. The Saudis will have to pay some $15 billion for the basically useless THAAD system. "That’s peanuts to you," said Trump. But Saudi citizens may not agree with such banter. The clown prince was, apparently, not amused. But what can he do? If he stops buying useless U.S. weapons the borg in Washington will 'regime change' him in no time. Current missile defense is economically not viable. The limits of physics make it easy to overcome. But the systems still have their purpose. For U.S. politicians they are a salable way to move taxpayer money towards the owners of the defense industry. For the Israeli government they are a (U.S. paid) psychological tool to prevent its people from protesting against the consequences of Zionist land robbery. The Saudis see them as inevitable ransom payment. Yesterday's public failures of missile defense endanger those purposes. If the general public comes to believe that missile defense can not work the whole scam falls apart. Any future sale should thus be conditioned on a promise to never use the acquired system. The last week at Moon of Alabama was again dominated by the Skripal incident. Another long piece about a different issue is still on hold. This week thus saw less posts than desirable. I had added additional historic information on the chemical agents in question in a comment to the March 21 piece. 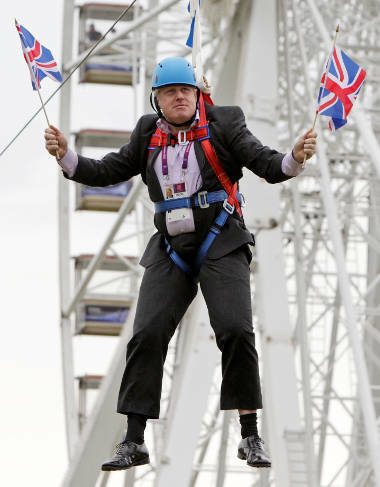 The British government is milking the incident to push russophobia and to divert from its failure in the Brexit negotiations and all its other problems. But the diversion will only succeed so long. The NHS doctor as well as court testimony by scientists from Proton Down contradict the claims made by the British government. Let's hope that the British opposition picks up on that. The one man now seen as the most 'moderate' on war issues in the Trump administration is a retired four star marine general with the nickname "mad dog" who was fired by the Obama administration for being too aggressive towards Iran. 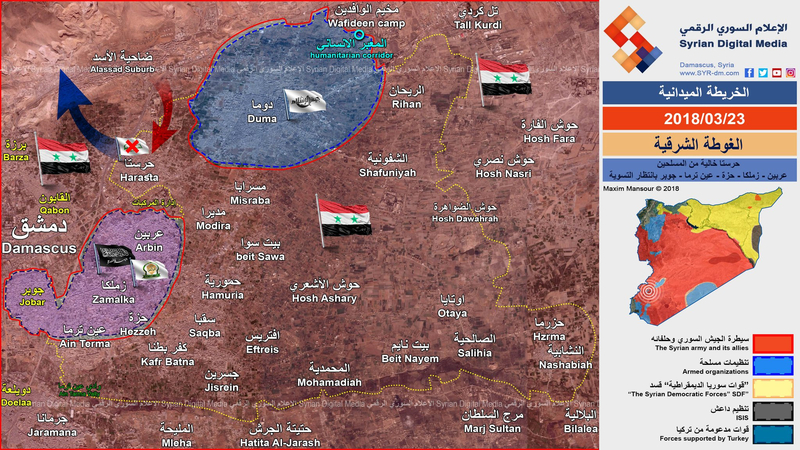 Mar 25 - Syria - The East-Ghouta-Afrin Exchange Is Complete - Where Will The SAA Go Next? Syria - The East-Ghouta-Afrin Exchange Is Complete - Where Will The SAA Go Next? After the Syrian army had taken all rural parts of east-Ghouta three pockets of densely upbuild areas were left in terrorist hands. Negotiations had started about transfer of the armed men to Idleb governorate in the north. Some 100,000 people moved from the besieged areas to the Syrian government side. Surrounded by widely superior forces, devoid of human shields and without any chance of relief the terrorist groups are now giving up one by one. First to surrender were Ahrar al-Sham fighters who held the Harasta suburb. 1,500 of them and their families, in total 4,500 people were transferred to Idleb by government buses. They had to give up all heavy weapons and were only allowed to carry one hand-weapons and no ammunition. Next to give up were Faylaq al-Rahman who held the southern pocket. While the leadership of the group was negotiating with the government side some of the group fired barrages of missiles into Damascus city and killed dozens of people. Shortly thereafter two dozen of foreigners who had been fighting with Faylaq al-Rahman turned up dead. Having eliminated those irreconcilable elements Faylaq al-Rahman burned its headquarter and agreed to be transferred. The men and their families are now being evacuated to Afrin, a formerly Kurdish area in the north-west which Turkish supported gangs recently captured. The total of this transfer were some 7,000 people. The last area in to be taken in east-Ghouta is Douma. It is held by Jaish al-Islam, a group of Wahhabi Islamists with intense support from Saudi Arabia. But Jaish al Islam will not want to go to Idleb. They have long fought with other Islamists and especially with HTS, aka Jabhat al-Nusra, which now rules in most of Idleb. Jaish al-Islam still tries to negotiate some autonomy for Douma but the Syrian government will not have any of that. It can not and will not allow a pocket of 'autonomous' Saudi financed Jihadis a few miles from the capital. The group will have to give up completely or agree to be transferred elsewhere. The only alternative is imminent death by Syrian artillery and bombardment. News today is that an agreement has been found but details are not yet available. The Syrian Arab Army has cleaned the east-Ghouta pocket in a less than a month. This was only possible because Turkey had a great incentive to keep other areas, especially in Idleb, reasonably quiet. To allow Turkey to take the Afrin canton from unruly Kurdish forces was thus in exchange for east-Ghouta. 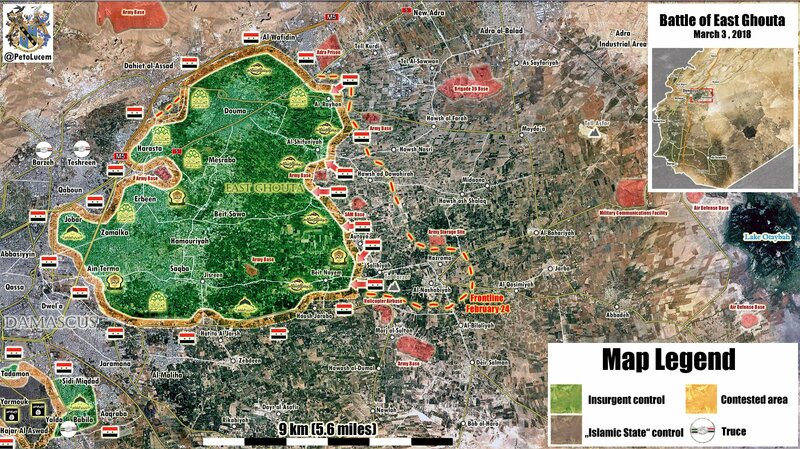 With the east-Ghouta pocket removed the Syrian army can move towards the next target. There is one pocket left near the capital that is still held by terrorists. Yarmouk, originally an improvised camp for Palestinian refugees but now part of Damascus city, is held by an Islamic State aligned group and by some Palestinian Hamas/Muslim Brotherhood followers who also fight the government. These groups often fight each other. Every once in a while their fighting spills over and affects the wider city. The Syrian government gave Hamas, the Palestinian Muslim Brotherhood organization, a chance to clean up the area but Hamas failed to do so. It should not take long for the Syrian forces to eliminate both of the threats. There have also been signs that the southern area around Daraa, near the Jordanian border, will be the place of the next large operation. Negotiations with some 'rebel' groups in Daraa and with the Jordanian government are ongoing. But while Jordan would probably like the war on Syria to end, its Saudi, Israeli and U.S. allies, who's money it needs to survive, may not agree to such plans and prepare for a new fight. During the recent visit by the Saudi clown prince in Washington the Saudis bought 6,600 TOW anti tank missiles. 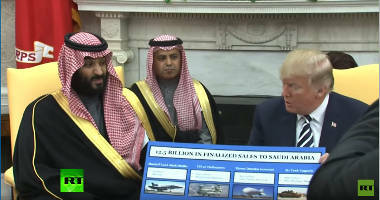 Their purchase is obviously not for defense against Yemeni tank divisions storming towards Riyadh. In 2013 the Saudis bought 15,600 TOWs which the CIA then distributed to its Takfiris in Syria. The new Saudi purchase will have a similar purpose. Will those TOWs be distributed to 'rebels' in Daraa or to the new Arab 'rebel' army the U.S. forces in east-Syria are building out of remnants of ISIS? 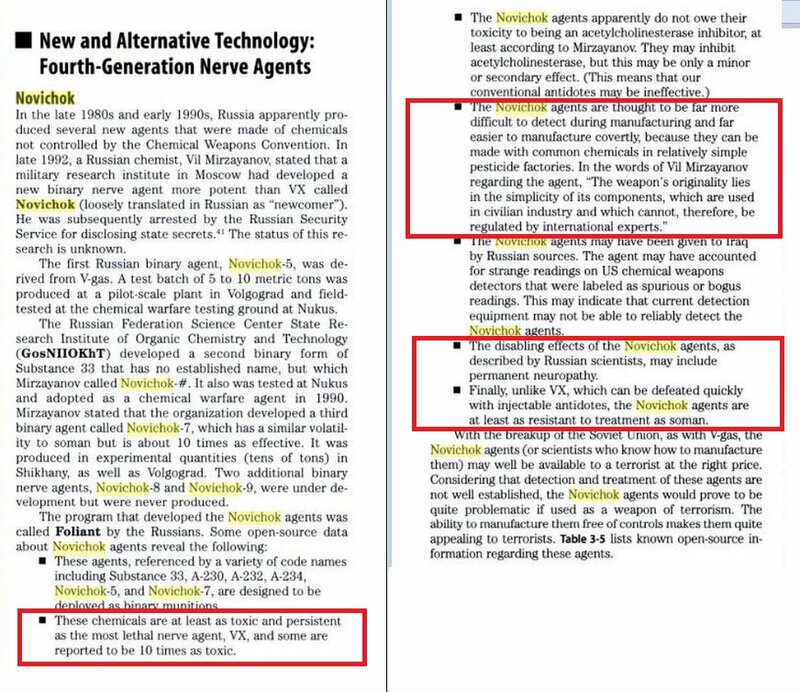 The last week at Moon of Alabama was heavy on 'Novichok'. But that story it is only one act in a much larger play. This morning Afrin fell to the Turkish supported Takfiris. Over the last days civilians and YPG fighters fled the area. The Kurdish YPG made no serious attempt to defend the city. They left large stacks of ammunition behind. The Turkish government will now 'settle' its own people in Afrin and, in two to five years, will let them vote to be annexed by Turkey. This chanin of events was easy to see but the political stupidity of the Kurdish leadership is immeasurable. The Syrian army continues to split Takfiri held areas of east-Ghouta into tiny pieces. Ten thousands of civilians have fled from the Takfiri to the government's side. Negotiations over the evacuation of the 'rebel' fanatics are ongoing. In a week or two the whole area will be liberated and under government control. A 'chemical factory', likely used to prepare chemical weapons, was found in the already librated area. The Russian Defense Ministry loudly warns that U.S. paid provocateurs plan a "chemical incident" to then accuse the Syrian government. The U.S. has sortied ships, say the Russians, to 'respond' to such an incident with a swarm of cruise missiles on Syrian government targets. If that happens, Russia said, it will attack any detected missile launching platform. 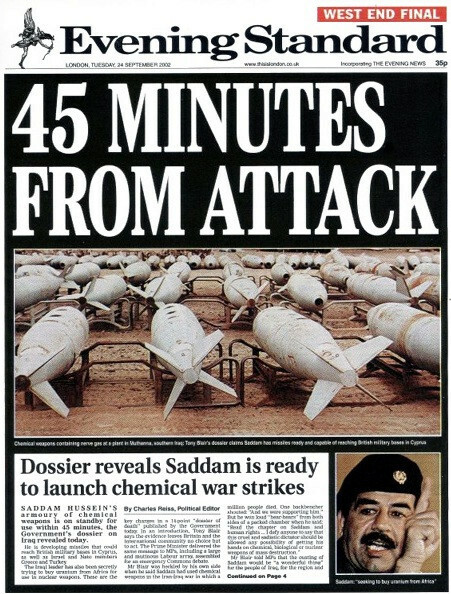 The British government again lies about chemical weapons. Who is the next to be fired by Trump? Mattis or McMaster? The 'Novichok' story, as told by the British government, can not be true. 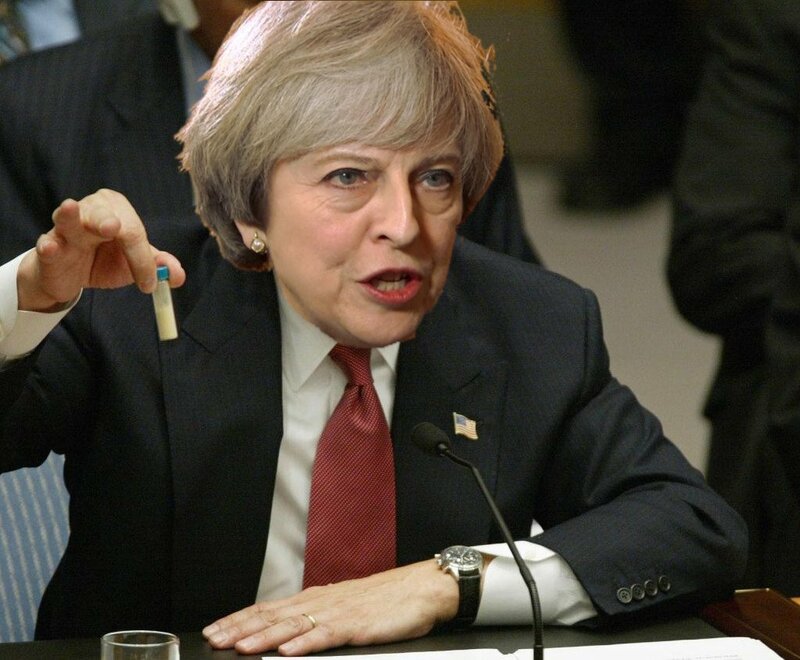 Mar 16 - The British Government's 'Novichok' Drama Was Written By Whom? The piece was updated quite often with additional facts and supporting links. Early readers may want to reread it. A big thank you to all commentators for the extensive and very disciplined discussion of our 'Novichok' posts. These could not be published without your support. The post was somewhat updated with this comment. Just recently the Rothschild organ The Economist depicted the Russian president Putin as a dangerous octopus. The idea was not original at all. Russia has been the favored target of this denigrating comparison for more than a century. 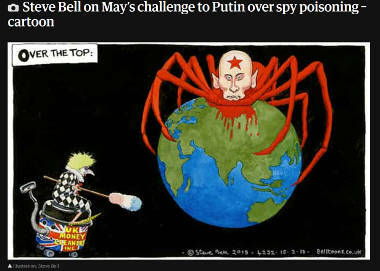 The Guardian, no less anti-Russian than the Economist, now follows suit. 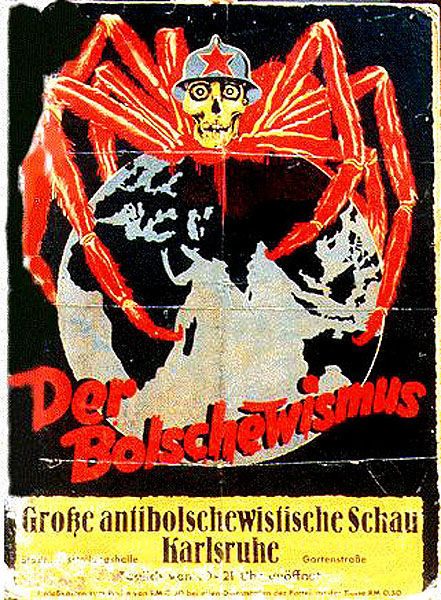 In early 1935, the Nazis unleashed an anti-Bolshevik campaign which it initiated with a series of traveling exhibits on the dangers of world Communism. This poster comes from the exhibit in Karlsruhe, the capital city of the German state of Baden. But its imagery is found in almost all of the posters of this exhibit. 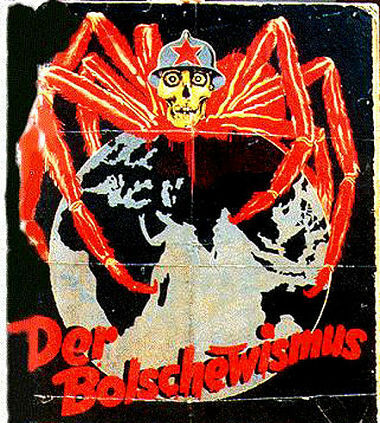 Here Bolshevism is represented as a huge red spider, whose head is the familiar grinning skull topped with the red star. Sitting in the Soviet Union, the legs of the spider can still reach out to threaten the entire world. The Guardian rip-off of Josef Goebbels' Nazi propaganda even copied the red star associated with communist ideology. How stupid - Putin and today's Russia are as capitalistic as it gets. Plagiarizing others to foment anti-Russian sentiment is standard Guardian business. Its most fervent and stupid anti-Russian writer, Luke Harding, had to publicly apologize for stealing whole passages from the Exile, a Russian magazine in English language edited by Mark Ames, Yasha Levine and Matt Taibbi. For a good laugh watch this Real News interview on Harding's book "Collusion" in which Aaron Maté takes Harding apart. 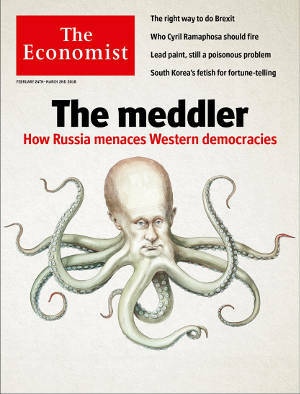 One wonders how much the Economist, the Guardian and other anti-Russian outlets, writers and cartoon artists get from the $160 million fund the Obama administration budgeted to "counter an uptick in Russian propaganda". Taking such money would not be unusual. This 2015 Guardian report on a European Union anti-Russian propaganda fund was, for example, written by the U.S. government's RFE/RL propaganda outlet. A U.S. government propaganda write-up about a EU propaganda fund ends up as content on the Guardian site. Hey - why not? Even original Guardian content rarely ventures off from the official line. 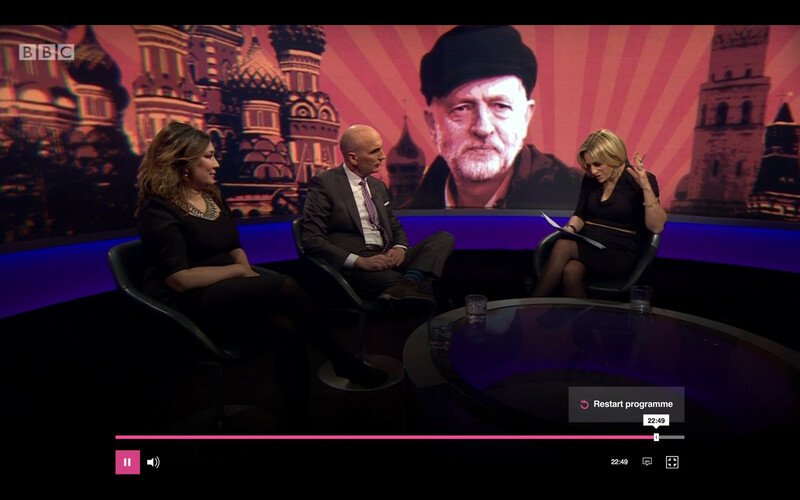 Who by the way might have financed the anti-Russian spy series Strike Back which now replays on live TV as the Skripal Novichok drama? The enormous amount of money from the dozens of officials and unofficial slush funds surely creates a lot of the anti-Russian noise. But for all the taxpayer money spent on the issue can we please ask for better than a warmed up Nazi campaign? A comparable incidents happened in 2001 in the United States. Envelopes with Anthrax spores were sent to various politicians. Some people died. The White House told the FBI to blame al-Qaeda but the Anthrax turned out to be from a U.S. chemical-biological weapon laboratory. The case is still unsolved. The 'whistle-blower' Vil Mirzayanov who 'revealed' the 'Novichok' program and its poisons published chemical formulas that should enable any decent laboratory to reproduce them. But neither the existence of the claimed program nor the existence of the alleged substances were ever accepted by the scientific community. The Russian government says it does not know the program nor the alleged poisons. 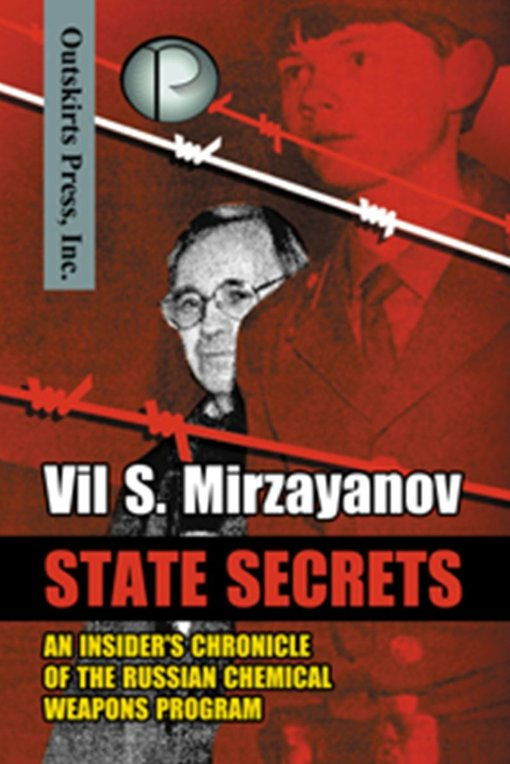 "Russia did it", says Mirzayanov, "OR SOMEONE WHO READ MY BOOK". The book was published in 2008 and is available as hardcover, paperback or for $8.16 as an electronic file. 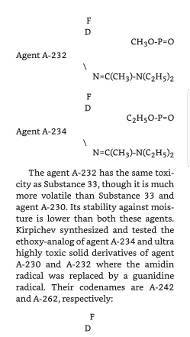 It includes a number of formulas which, Mirzayanov says, could be used to produce those chemical agents. But neither Porton Down nor the OPCW seem convinced that this is possible. They may believe that Mirzayanov is just full of it. 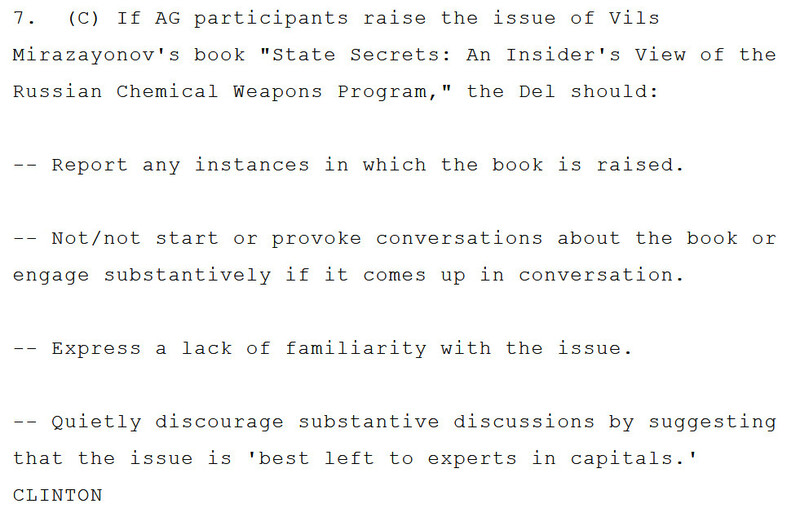 While I was writing my book “State Secrets: An Insider’s Chronicle of the Russian Chemical Weapons Program”, some people from Washington persistently advised me not to include the formulas of the chemical agents of the Novichok series in my book. 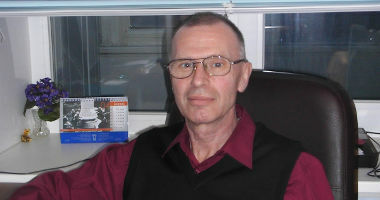 Mirzayanov further points out that experienced personal in well equipped laboratories would be able to use his formulas. State actors have such laboratories, like the British Porton Down, but terrorists do not have such capabilities. 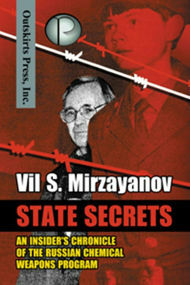 Mirzayanov urged to included the substances he described into the OPCW list of controlled material. But the OPCW, as seen above, rejected that. Neither its scientific board nor the head of the Porton Down detection laboratory were convinced that these substances or the Soviet program Mirzayanov described existed at all. The Soviet chemical weapon laboratory in which Mirzayanov had worked was in Uzbekistan, not in Russia as Theresa May falsely claims. The laboratory was dismantled with the active help of the United States. The existence of the substances as described by Vil Mirzayanov is in serious doubt. But if he is right then any state or company with a decent laboratory and competent personal can produce these substances from the formulas and descriptions he provides in his book. That is at least what Mirzayanov himself says. Neither is correct. 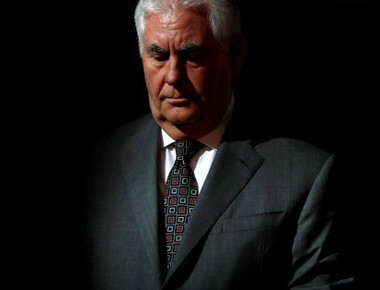 The plan to oust Tillerson and elevate Pompeo to State has been rumored and written about for several month. The plan was "developed by John F. Kelly, the White House chief of staff". It had nothing to do with Russia. Today the British government made some dubious assertions about Saddam's chemical weapons the poisoning of its double agent Sergej Skripal. 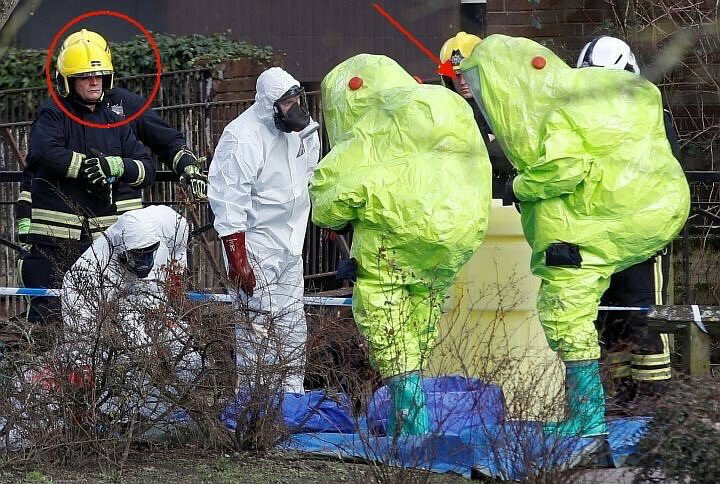 The nerve agent was part of a group of agents known as 'Novichok'. the Russian government lost control of the nerve agent and let it fall into the hands of others. 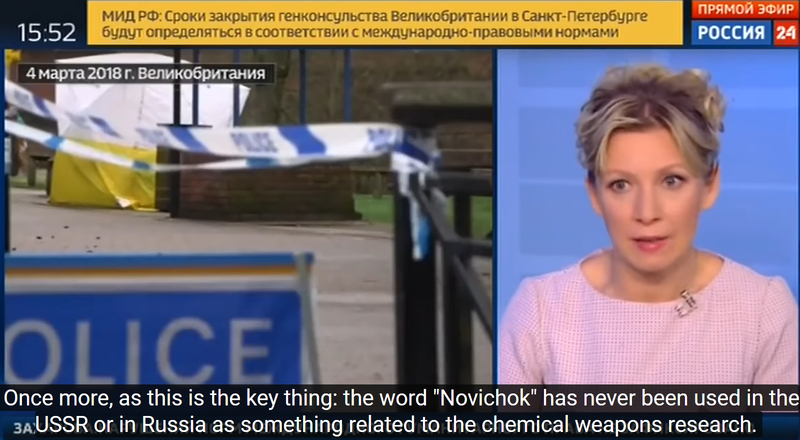 Novichok, 'newcomers' in English, are a zoo of chemical warfare agents that were developed in the Soviet Union in the 1970s and 80s. Some of the 'newcomers' are said to be highly toxic. 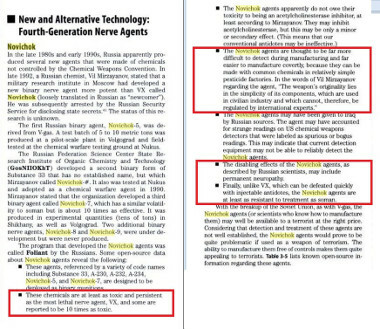 The existence of these chemical agents was disclosed in 1992. Russia joined the Convention on the Prohibition of the Development, Production, Stockpiling and Use of Chemical Weapons and on their Destruction in 1997. It has since (unlike the U.S.) destroyed all left over stocks from the Soviet Union's chemical weapon program. It does not produce chemical weapons. 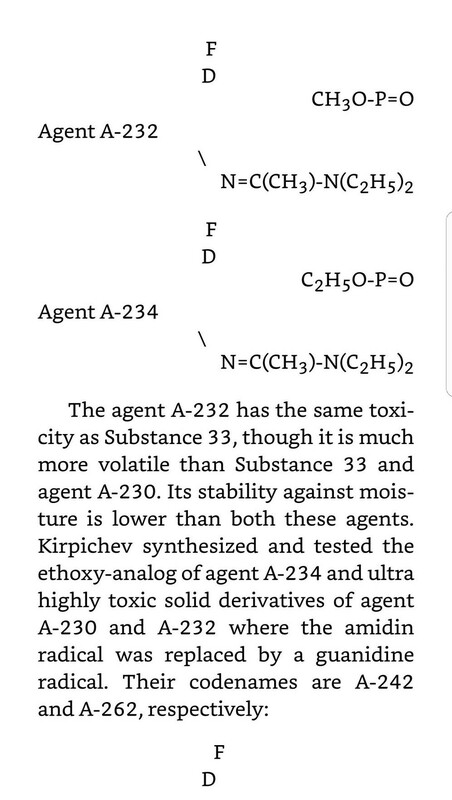 The formulas for the various Novichok agents are not a Russian secret. The U.S. and the UK surely know how to make these. The agents are said to be made from simply components used in civil industrial processes. (To qualify any agent as "military grade" is by the way nonsense. Many chemical agents used in civil process are also incredibly deadly.) The Porton Down chemical weapon laboratory of the British military is only some 8 miles away from Salisbury where the Skripals were allegedly poisoned. The British government claims that Porton Down identified the agent allegedly used on the Skripals. The laboratory is surely also capable of producing such stuff, just like similar laboratories in other countries are able to do. Novichok agents are claimed to be up to 10 times as toxic as VX. One drop of VX can kill a person. 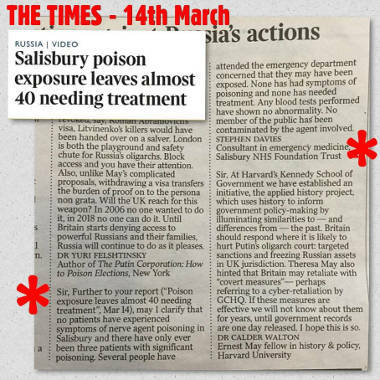 If the Skripals were poisoned with such an highly effective agent how come they are still alive? The Soviet Union, not Russia, developed such agents. The main work was done in Uzbekistan. The U.S. helped to dismantled the laboratory. Russia is likely able to re-produce such agents but so are many, many other countries. What is Russia's "record of state sponsored assassinations"? The British investigation which claimed that "Russia" was somehow involved in the death of MI6 agent Litvinenko is highly dubious. I am not aware of any other cases. There is a long standing protocol to never bother spies that have been exchanged in a spy-swap. If Russia sees "some defectors" as legitimate targets why does it not immediately kill them? 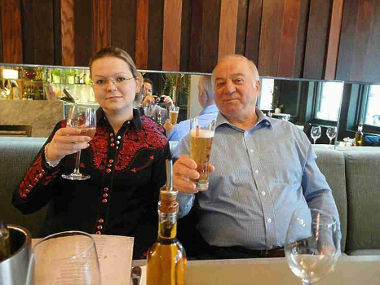 Skripal was living openly in the UK since 2010. Why would Russia kill him at all and why now? Given the above it is absurd to conclude that it is "highly likely" that Russia was responsible. If someone is run-over by a BMW is it"highly likely" that the German government is responsible for it? 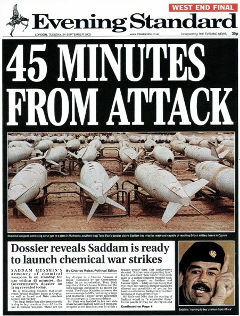 The real likeliness for that is just as high as the likeliness that Saddam could hit the UK with a chemical weapon missile within 45 minutes. That was a fraudulent claim another British government once made. May's claims today are just as believable as the all nonsense Tony Blair said about Saddam or as the show U.S. Secretary of State Powell delivered in front of the UN Security Council. 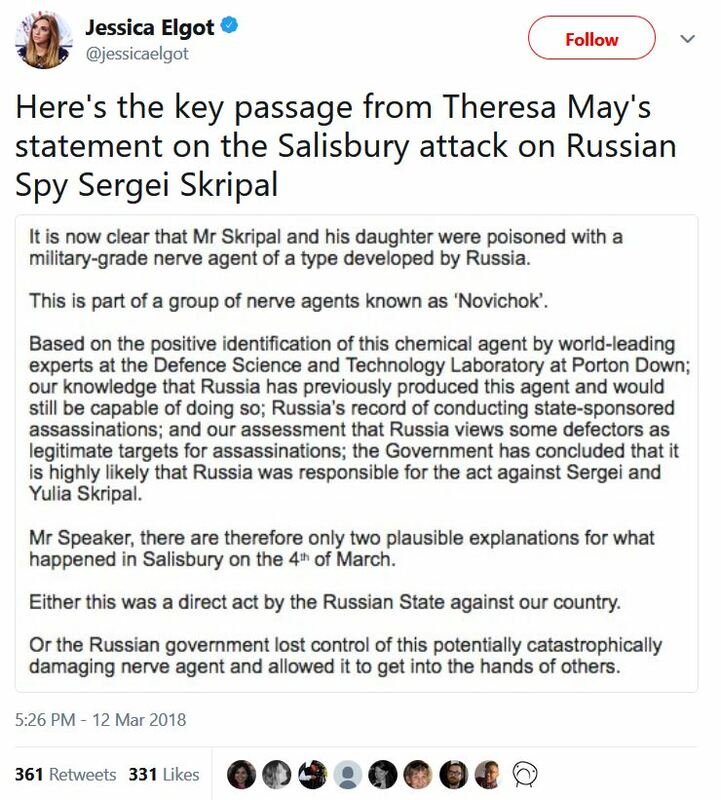 More likely is an involvement of Skripal in the Steele dossier and the CIA/MI6 operation against Donald Trump. Was he assailed because he threatened to talk about it? This hyping of Steele as an honest man who only did his duty is pretty disgusting. What was Jane Mayer paid for writing such an inaccurate and unobjective portrait? In which a federal communication commissioner proves that she has zero understanding of basic web communication. 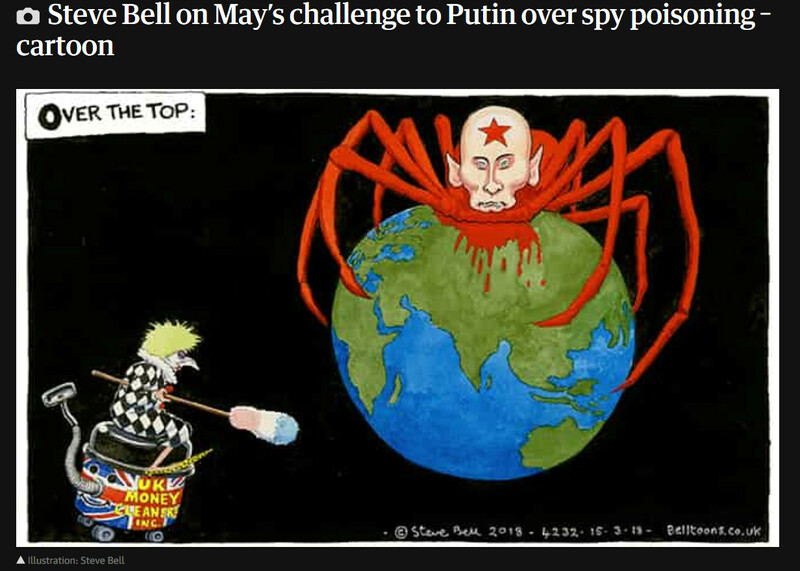 The British government and its media are trying their best to make a big scare out of the alleged poisoning of a turned Russian spy. They are blaming Russia without providing any evidence. The Russian government had nothing to win from killing him. Meanwhile the quite direct connection between the poisoned double-agent and the fake Steele dossier is swept under the carpet. Lots of powerful entities, including the government of Japan, conservatives in South Korea, the U.S. miliary, the military industry and its hundreds of lobby shops are all interested in making the talks fail. The want war or at least the perception of imminent war. If Trump can get to some agreement with North Korea he deserves some laurels. Anna video footage of the fight in east-Ghouta. The Russian President Putin was interviewed by the very 'blond' NBC talking head Megan Kelly. Here are a full unedited video of the two part interview and the official English language transcript. Vladimir Putin: It is important not to project strength, but to show it. It is also important how we understand power. It does not mean banging the table with a fist or yelling. I think power has several dimensions. Firstly, one should be confident that he is doing the right thing. 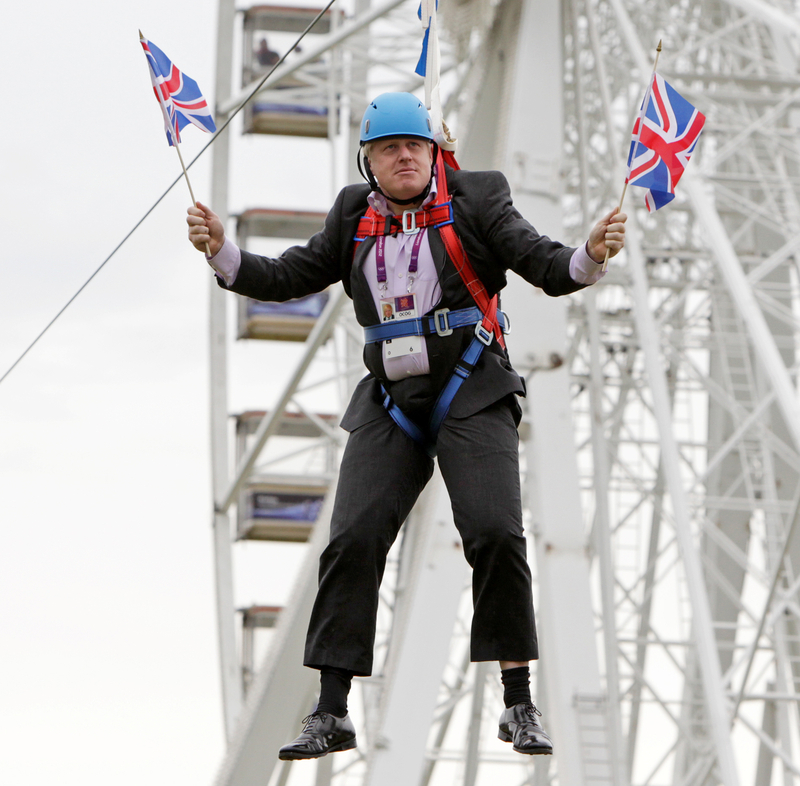 Secondly, he must be ready to go all the way to achieve the goals. In Winston Churchill, Hollywood rewards a mass murderer - To my astonishment Shashi Tharoor, a famous Indian politician, was allowed to publish this in the Washington Post op-ed pages. His son Ishaan, who writes for the Post news site, must have smuggled it past the editors. An important read for those who believe that Hitler's racism and brutality were exceptional. He Wouldn’t Become an Informant. Now He’s Headed for Prison. The FBI entraps a U.S. citizen from Iran to press him to spy on Iran. The next time someone laments about U.S. citizens of Iranian heritage getting jailed for espionage while visiting Iran, point them to the above. Then: Trump is a madman who wants to lead us into war against North Korea. Now: Trump is a madman who wants to lead us towards peace with North Korea. I welcome the announced meeting of Kim Jong Un and Donald Trump. The imperial military-industrial complex will do its best to sabotage it. Billions of dollars of planned revenue may soon evaporate. Kim Jong Un has so far shown himself as an excellent strategist. He offered direct talks at the exactly right moment. Trump blindsided all the hawks, worrywards and bureaucrats in his staff by suddenly agreeing to them. If this brinkmanship succeeds the South Korean President Moon deserves a peace price for arranging it. The best venue for the meeting is? It is unlikely that the headline was chosen by the author of the op-ed. The editors of the Washington Post opinion page wrote it. I also doubt that she would have chosen a picture of the FCC head to decorate her piece. For the record: The headline is false. The op-ed is about a request for comments the Federal Communications Commission issued last year in preparation of its net-neutrality decision. Anyone, and anything, could comment multiple times. Various lobbying firms, political action groups and hacks abused the public comment system to send copy-paste comments via single-use email accounts or even without giving any email address. But this had and has nothing to with Russia or Russians. What do Sen. Jeff Merkley (D-Ore.), deceased actress Patty Duke, a 13-year-old from upstate New York and a 96-year-old veteran from Southern California have in common? They appear to have filed comments in the net neutrality record at the Federal Communications Commission. That ought to mean they went online, submitted their names and addresses, and typed out their thoughts about Internet regulatory policy. But appearances can be deceiving. In fact, each of these individuals — along with 2 million others — had their identities stolen and used to file fake comments. These fake comments were not the only unnerving thing in the FCC net neutrality record. In the course of its deliberations on the future of Internet openness, the agency logged about half a million comments sent from Russian email addresses. 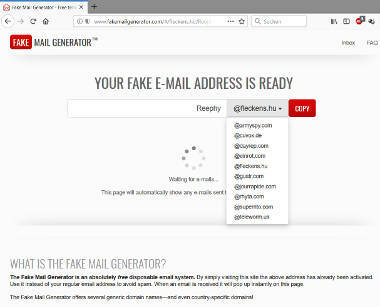 It received nearly 8 million comments from email domains associated with FakeMailGenerator.com with almost identical wording. At least 12-13 million of the 21.7 million comments to the FCC were fake. 8 million email addresses entered in the form the FCC had set up were generated with www.fakemailgenerator.com, half a million were entered with *.ru Internet domains. 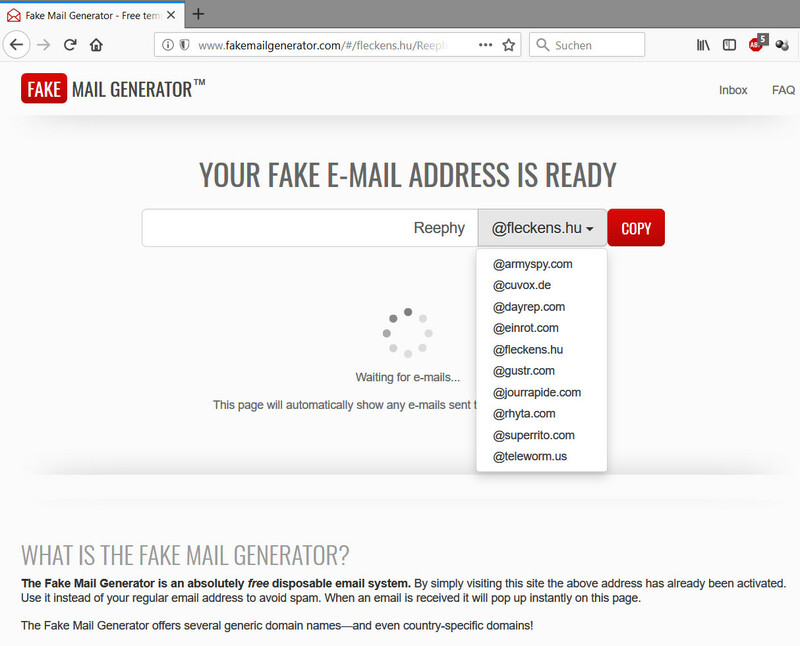 FakeMailGenerator can use foreign domains for generating throw-away email addresses. In the screenshot below it generated an Hungarian one for me. If I would comment at the FCC and enter Reephy@fleckens.hu into the FCC form I would be counted as Hungarian. I would not have "send" that comment from an Hungarian email address. Nor would entering the comment make me Hungarian. Neither do *.ru email domains mean that the people (ab-)using them have anything to do with Russia. [T]he Center’s analysis shows that the FCC site does not appear to have utilized this email verification process on a consistent basis. According to this analysis of the data from the FCC, only 3% of the comments definitively went through this validation process. In the vast majority of cases, it is unclear whether any attempt was made to validate the email address provided. As a result, in many cases commenters were able to use generic or bogus email addresses and still have their comments accepted by the FCC and posted online. It is obvious that the FCC had no interest at all in receiving legitimate public comments. 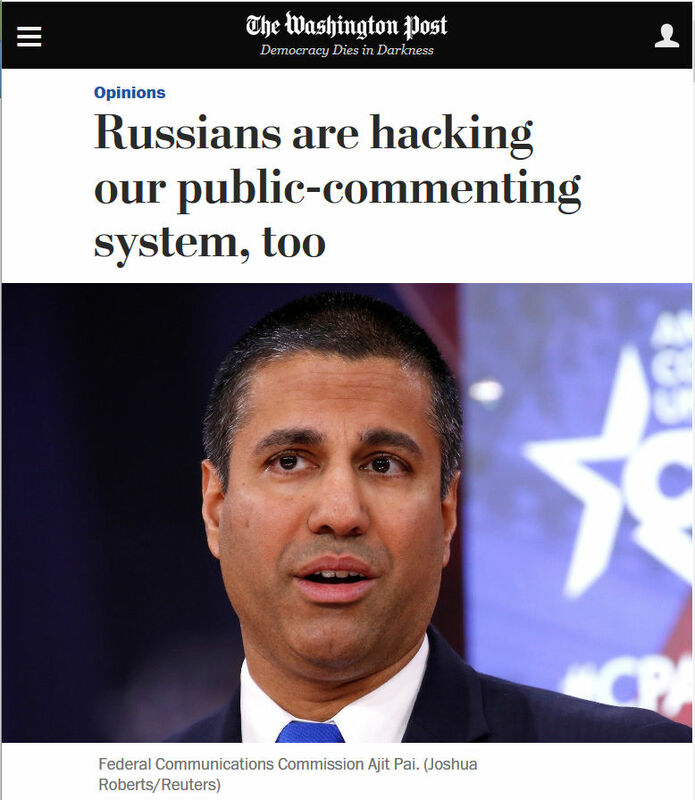 But the FCC at least did not blame Russia. The Washington Post editors do that when they chose a headline that has no factual basis in the piece below it. They abuse the op-ed which has the presumed authority of an FCC commissioner to reinforce their anti-Russian propaganda campaign. C. J. Hopkins notes that the cult of authority is systematically used to make the lunatic claims of Russiagate believable. If you don't think that the endgame to all of this lunacy is a world where every America-critical movement from Black Lives Matter to Our Revolution to the Green Party is ultimately swept up in the collusion narrative along with Donald Trump and his alt-right minions, you haven't been paying attention. Some commenters here lamented about my posts about the Steele dossier and or Russiagate issues. "It's enough already." But the issue is, as Taibbi points out, much bigger. In November 2016 the Washington Post pushed the ProPornOT campaign which denounced some 200 non-mainstream websites as "Russian propaganda". This website is an "primary initial" target of that campaign. If the campaign succeeds to its full intent, Moon of Alabama will no longer be accessible. The Russiagate nonsense has do be debunked at each and every corner to prevent its further abuse against dissent on everything else. Yesterday The New Yorker published a 15,000 word piece about Christopher Steele, the former British spook who created the "dossier" about alleged Russian interference with Trump. Written by Jane Mayer the piece is designed to let Steele shine in the very best light. A civil servant who only followed his conscience when he peddled his made-up dirt to the FBI, the media and Congress. That a private investigator, highly paid by the Clinton campaign to find dirt about Trump, was acting out of decency, would be unbelievable in the best case. But the piece is way worse. There are at least six factual errors in it which anyone who has followed the affair can easily detect. Some new allegations in the piece are so thinly sourced that any decent editor would have thrown them out. A phone, kept in a Faraday bag designed to block signals, rings? How please can a phone that can not send or receive signals, take a call? That is impossible. How can a fact-checker and/or editor at The New Yorker let such nonsense slip into the opening graph of such a large piece? The piece misleads the reader by insinuating that Steele was original paid by Republican money. GPS Fusion was paid by a Republican opponent of Trump to find dirt on him. That job ended after Trump had won the primaries. GPS Fusion then started to work for the Clinton campaign. Steele was hired by GPS only after the GPS client had changed. He was then tasked with finding something "Russian" on Trump. Mayer claims that the Democrats were only alarmed about the "hacking" of the DNC emails after, in late July 2016, Wikileaks started to publish those. That is wrong. Marcy points out that one month earlier the Guccifer 2.0 figure had already published internal details from the DNC "hack". That, at the latest, set off the alarm bells. Mayer also claims that none of reporters who were briefed by Steele then wrote about the dossier. But Michael Isikoff did write about it without revealing that Steele was his source. His report was used by the FBI as a confirmation of the Steele claims. It’s too early to make a final judgment about how much of Steele’s dossier will be proved wrong, but a number of Steele’s major claims have been backed up by subsequent disclosures. That the Steele dossier was backed up by subsequent disclosures would be news to me. What evidence does Mayer have to support that? His allegation that the Kremlin favored Trump in 2016 and was offering his campaign dirt on Hillary has been borne out. No, it has not. Dirt on Clinton was offered to the Trump campaign by one Rob Goldstone, a British lobbyist who tried get a date with the campaign for a Russian lobbyist hired by some oligarch who wanted to get rid of sanctions enacted against him. A meeting with both lobbyists was held in the Trump Tower but cut short when it became obvious that they could not provide any dirt on Clinton. This had nothing to do with Steele or the content of his dossier. So has his claim that the Kremlin and WikiLeaks were working together to release the D.N.C.’s e-mails. No evidence exists to support that claim. Wikileaks, Craig Murrey and Kim Dotcom have consistently said that the DNC emails Wikileaks published did not come from a "hack" or from Russian sources and that Russia was not involved in their release. This again has nothing to do with the dossier. Indeed, it’s getting harder every day to claim that Steele was simply spreading lies, now that three former Trump campaign officials—Flynn, Papadopoulos, and Rick Gates, who served as deputy campaign chairman—have all pleaded guilty to criminal charges, and appear to be cooperating with the investigation. And again: None of the cases against those persons had anything to do with Steele or his dossier. They pleaded guilty on unrelated issues. None of these three points Jane Mayer makes is supporting the claimed veracity of the Steele dossier or any part of it. She is evidently misleading the readers by claiming that they do so. There are some details in the Mayer piece that could be news and would normally deserve some discussion. But the piece is full of obvious errors, unreliable arguments and its sourcing is very thin. Thus nothing in it can be taken at face value. The famous fact checking of The New Yorker completely failed with this piece. It is sad that the once venerable magazine and the admirable Jane Mayer have become willing propagandists for this lost cause. Another new point in the Mayer piece, not in the above list, is an alleged meeting between the head of the British spy service GCHQ and the head of the CIA John Brennan in which GCHQ briefs Brennan about alleged interceptions of communication between Trump campaign associates and Russia. This is curious because the usual contact for such a case should have been the FBI, not the CIA. After a slow start the Turkish and Jihadi attack on the Afrin canton in north-west Syria is making some progress. Despite intimate knowledge of the terrain and years of preparation the local Kurdish forces of the YPK have little chance to withstand. Turkish air and artillery support for the attacking force opponents is overwhelming the Kurds. The ground troops Turkey is using are mostly Islamist Free Syrian Army fighters directed by Turkish officers. A few Turkish special forces are acting as forward observers to call in artillery and airstrikes. Only yesterday the Turkish air force flew more than 30 bombing missions on a rather small front. Today some 36 fighters were killed by Turkish air strikes. Last week the local Kurdish forces were reinforced by other Kurdish forces and Syrian government paramilitaries. Some of the Kurdish groups had split off from the U.S. supported SDF in east Syria, crossed through Syrian government held land and reached Afrin. Kurdish groups in Aleppo city gave control of two of the three districts they held to the Syrian government to join their brethren in Afrin. A contingent of 500 Syrian paramilitary fighters from two Shiite towns near Afrin also joined the fight. The Turkish army tried to interdict the convoys reinforcing Afrin but most of the fighters reached the front lines. The Syrian Red Cross sent a convoy with humanitarian goods for the about one million inhabitants of the canton. The Kurdish YPG forces in control of Afrin have a choice. The Russian and the Syrian government have offered their full support if the Kurds submit to Syrian government control just like any citizen of Syria is supposed to do. If they agree, the Turkish planes will immediately vanish from the skies over Afrin. But the Kurds insist on keeping their own military and police forces as well as their unelected local administration. If they keep doing so the Turkish forces will role them up and all will be lost. It is a simple and obvious choice to make. Idleb governorate and Idleb city are held by various groups aligned with Turkey. The biggest of these groups are al-Qaeda (aka Nusra Front aka HTS), Ahrar al Sham and Zinki. All of these are Islamist extremists but only al-Qaeda/Nusra is designated as an international terrorist group. A Russian-Turkish agreement marks Idleb as a deescalation zone which will no longer be attacked by the Syrian government forces if Turkey can get the groups there under control and if it eliminates the al-Qaeda/HTS terrorists. Regular Turkish troops set up a few observer posts in the area. But Turkey had supported al-Qaeda/HTS all along and the group, if attacked by regular Turkish forces, is likely to hit back within Turkey itself. After much prodding by Russia Turkey finally pressed the other groups it controls to evict al-Qaeda/HTS from the various towns it held. The operation started a week ago. Ahrar al Sham and Zinki united with some smaller groups under the common label JTS. They attacked HTS positions and were able to immediately capture a number of them. HTS simply retreated. For three days it looked as if the Turkish ordered operation would be successful. Some 30 towns and villages fell to JTS. Then came the counterattack. Ahrar al-Sham's main weapon depot, with several tanks and artillery guns, fell to HTS. 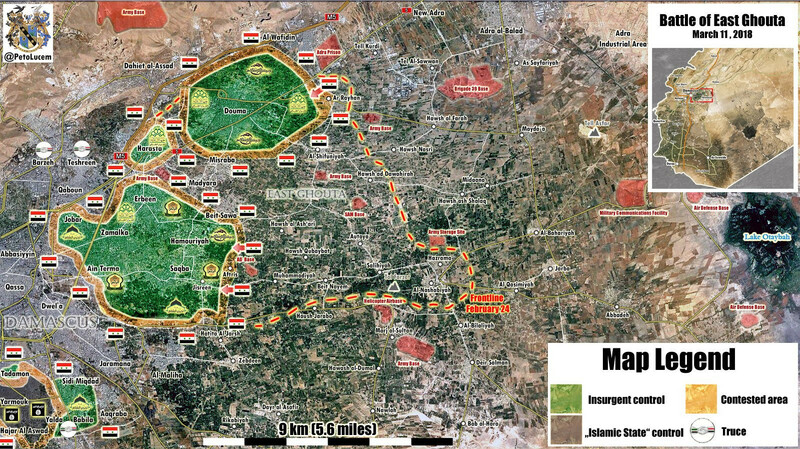 JTS was attacked from the rear and town after town fell back to HTS. Just a week after the whole operation against HTS started it is in better position than ever before. HTS has kept control of the city of Idleb. It is now in complete control of the border with Turkey. All Turkish observer posts in Idleb governorate are now surrounded by HTS forces. The Turkish soldiers have become hostages. Will Erdogan have to call on the Syrian government to bail them out? The large Syrian government operation against the east-Ghouta enclave east of the capital Damascus is progressing well. The area is held by various Salafist and Wahabbi groups including an al-Qaeda contingent of several hundred fighters. The defense line of Jaish al-Islam on the eastern border of the 10 square kilometer area have been breached. Wide ditches dug to prevent any Syrian army attack were crossed with the help of military bridges. The area is rural and flat and can be easily captured by a mechanized force. One third of east-Ghouta is already back in government hands. The western side of the enclave is upbuild city terrain and will be much more difficult to take. In east-Syria north of the Euphrates and along the Syrian-Iraqi border there is still a significant ISIS enclave with several thousand ISIS fighters which the U.S. supported SDF seems uninterested in. The Syrian and Russian governments believe that the U.S. is protecting these terrorists and will eventually use them against the Syrian government. The Russian defense ministry claims that the U.S. has build some 20 garrisons in north-east Syria for several thousands of its troops. Another U.S. contingent holds the Syrian-Iraqi border station al-Tanf in south-east Syria. It has recently been reinforced with additional U.S. soldiers. Nearby is a large refugee camp controlled by ISIS aligned fighters. This again seems to be an area where the U.S. is coddling ISIS to later reuse it as a "rebel" force against the Syrian government. Both, the Taliban support for TAPI as well as President Ghani's offer are new. Just two weeks ago Ghani still rejected unconditional talks. 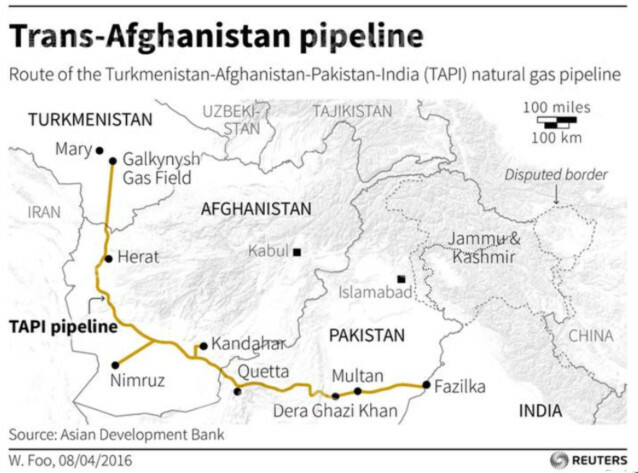 The Turkmenistan-Afghanistan-Pakistan-India (TAPI) pipeline has been negotiated about since the early 1990s. It is supposed to bring gas from Central Asia to Pakistan and India. Only Russian pipelines are currently connecting Turkmenistan and its large gas reserves to its export markets. This is one reason why the U.S. always pushed for the project. The U.S. company Unocal was heavily involved. One of its consultants was Zalmay Khalilzad who later became U.S. ambassador to Afghanistan and then Iraq. The pipeline project has a long unruly history. It was a major reason why the U.S. wanted to topple the Taliban. 9/11 gave it a pretext to invade Afghanistan and by late 2001 the Taliban government had ended. But the $10 billion TAPI project took another 14 years before the first pipes were laid. After its Taliban client government in Afghanistan had been toppled Pakistan became hostile to the project. There were also disputes about prices and Indian-Pakistani hostilities. Pakistan then negotiated over gas supplies from Iran. But the Iran-Pakistan-India (IPI) pipeline was never finished. The U.S. had pressed on India to not commit to buying from Iran. Pakistan is now back at supporting TAPI. It is probably the reason why the Taliban have agreed to protect the project within the areas they control. But I suspect that there is more behind the move. Some wider agreement must have been found about future of Afghanistan. How many cabinet seats can the Taliban claim? How much influence is Pakistan allowed to have? Construction for the TAPI pipeline in Turkmenistan began in 2015. Construction in Afghanistan started this year on February 24. The U.S. is in control of the financing of the whole project. TAPI is in direct competition not only to the Iranian IPI project, but also to LNG exporters, among which are such countries as Qatar, Australia, USA, Canada and Russia, together they export an estimated 30bn m³/yr to India. 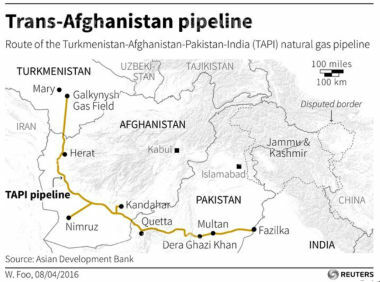 By pursuing the TAPI pipeline the U.S. is trying to dominate in an area that is far from its shores and where it has little control. More than 25 years after the project was first envisioned it will still require tons of money, years of work and a lot of luck to succeed. There are many parties who might want to interfere with the project and who know the area much better than the U.S. ever will. The biggest risk though is the aggressive militant approach the U.S. is still taking towards the Taliban. The intense U.S. air campaign against their interests and operations continues with little gain. Meanwhile the Taliban control nearly half of the country. A series of attacks against the central government in Kabul has undermined the public confidence in the Ghani government. Just today another suicide bomb hit the capital. The recent announcements show that the peace negotiations and the pipeline are intimately connected. If the talks fail, the Taliban support for the pipeline will end too. If the pipeline does not become operable, the U.S. may finally leave. Many people may want to achieve that. Russia Shows Off New Weapons - Tells U.S. To "Come Down To Earth"
In his yearly address to the Federal Assembly of the Russian Federation President Putin spoke about the progress his country has made and about future aims of Russian policies. Most of the address was devoted to internal Russian economic and social developments. The last part of the two hour long speech (video, English simultaneous translation) was a presentation of Russia's new military posture in response to U.S. encroachment on Russia's borders and the global U.S. missile defense system. Putin announced the development and fielding of new types of strategic weapons which together will make the U.S. global missile defense systems useless. The thirty minutes section starts at 1h:18m. [W]hat is a unipolar world? However one might embellish this term, at the end of the day it refers to one type of situation, namely one centre of authority, one centre of force, one centre of decision-making. In 2002 the U.S. unilaterally ended the 1972 Anti-Ballistic Missile treaty. In 2004 the U.S. and NATO included global missile defense into their strategic nuclear forces’ drills. Since then Russia has continuously warned that it will have to respond to such a development. When the ABM treaty had come into force it created stability by guaranteeing Mutually Assured Destruction (MAD). If one side would fire its nuclear armed intercontinental missiles onto the other side that side would respond by firing its own missiles. Thus both states would be destroyed. MAD guaranteed that neither had any interest in starting such a war in the first place. “The global US anti-ballistic missile system includes a naval group. These are five cruisers and 30 destroyers, as far as we know, deployed in areas in the immediate vicinity of the territory of Russia,” Putin said in an address to Russian parliamentarians on Thursday. The president also warned that the range of missiles will only increase, while further deployment is planned in Japan and South Korea. 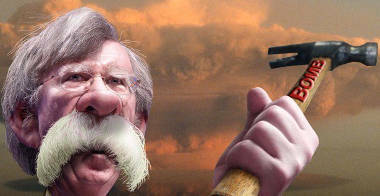 Additionally the U.S. has shown no interest in renewing the only two strategic weapon control agreements still in force. The Intermediate-Range Nuclear Forces Treaty (INF) will end in 2019 and the New START Treaty, which limits the number of deployed nuclear warheads and delivery vehicles, expires by 2021. Noteworthy for its destabilizing effect is the new doctrine of responding to a non-nuclear attack on U.S. early warning, command and control elements with nuclear force. "I believe it as my duty to say this: any use of nuclear weapons of any yield - small, medium or whatever - against Russia or its allies will be regarded as a nuclear attack against our country. Retaliation will be instant with all the ensuing consequences," Putin said to draw loud applause from the audience. He warned that "nobody should have any doubts on that score." At the same time Putin cautioned against creating new threats to the world, "but on the contrary to come to the negotiating table to give thought to an updated, future system of international security and the civilization’s sustainable development." The purpose of the new weapons Putin announced is to make the U.S. anti-ballistic missile shield useless and to thereby restore the stable state of Mutually Assured Destruction. Shown during the speech were short videos demonstrating the new weapons. Russia has already changed its existing Intercontinental Ballistic Missiles to defeat some ABM features but it can not make them invulnerable. Now Putin has announced a new intercontinental missile SARMAT with unprecedented reach. Launched from Russia it can reach the continental U.S. from any direction, even flying over the south pole, and thus renders any concentrated missile defense like the one in Alaska useless. The missile is huge, with allegedly 200 ton payload(?) total weight, and its multiple warheads are maneuverable. "A low-flying low-visibility cruise missile armed with a nuclear warhead and possessing a practically unlimited range, unpredictable flight path and the capability to impregnate practically all interception lines is invulnerable to all existing and future anti-missile and air defense weapons," Putin said. At the end of 2017 Russia successfully launched the newest nuclear-powered cruise missile at the central proving ground, he went on. Interestingly there had not been a peep about this system or its test from the U.S. military or any spying services. No other country but Russia has such a system. Another weapon with a nuclear drive system is the new super fast submarine drone Status 6 or Kanyon. Its development was (intentionally?) leaked in 2015. Its purpose is to destroy aircraft carrier groups and/or whole harbors. The new torpedo and the new cruise missiles will both carry nuclear warheads. The fourth system Putin announced is a hypersonic air launched cruise missile named Kinzhal which, he said, has been successfully tested and is already in combat duty in the southern Russian defense sector. The missile is maneuverable and flies at ten times the speed of sound with a range of 2,000 kilometers. It can be armed with conventional or nuclear warheads. U.S. forces in the Middle East should take note of this. Putin spoke of two other weapon systems which are still in development. One is the maneuverable hypersonic glider "Avangard" which flies beyond the stratosphere at twenty times the speed of sound and comes down onto its targets "like a meteor". Another weapon shown in a short spot is a ground based laser system for air defense. The U.S. and several other countries are currently developing similar weapons. Putin noted that such unfriendly steps against Russia as deploying the missile defense system, bringing NATO’s infrastructure close to Russia’s borders had become ineffective from a military perspective and unreasonably costly from a financial point of view. "All that ultimately (becomes) just pointless for those who initiate and do that," he concluded. The "western" media will call Putin's speech and the announcement of new weapons a sign of "Russian aggression" and that he "threatens to start an arms race". But that is not what it was. This was the Russian response to 20 years of U.S. aggression and unilateral arms deployment. It is the response to NATO encroachment on Russia's border and to the attempted destruction of the balance of power that MAD ensured. This is the response that Putin had announced eleven years ago in Munich. It will take some time for "Washington" to understand what Putin means. "I hope that everything that was said today will bring any potential aggressor down to earth." The official English translation of the speech is now available.